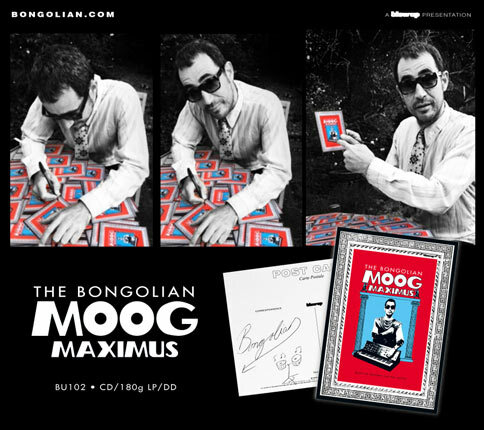 'Moog Maximus' see the welcome return of The Bongolian, AKA multi-instrumentalist and Big Boss Man front man Nasser Bouzida. His fifth album under the Bongolian moniker continues the musical journey where 2011’s 'Bongos For Beatniks' left off, taking us through the fractures of time like fellow traveller H. G. Wells. 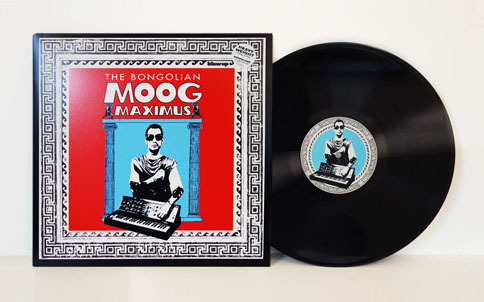 Nasser has now landed in ancient Rome, armed with a bank of Moog synthesisers over a bed of heavy grooves in a wildly eclectic fusion of Funk, Soul, B-Boy Breaks, Jazz and Sci-Fi Boogaloo. Back in 2001, Nasser Bouzida disappeared into his studio and created a solo set of recordings which resulted in the birth of his alter ego The Bongolian. Drawing on influences of Funk, Latin, Soul and Jazz, Nasser produced an inspired selection of recordings blending elements of grinding percussion and heavy Bongo rhythms. 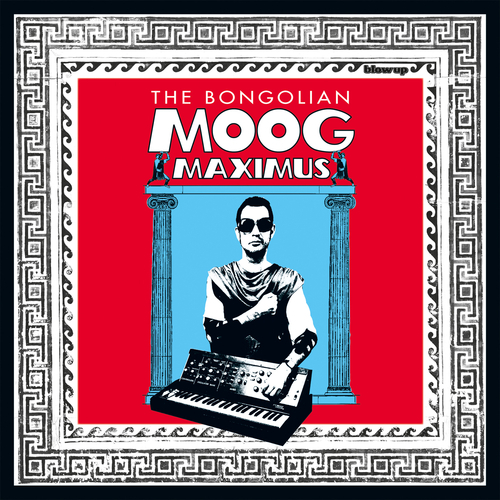 The eponymous debut 'The Bongolian' was released early in 2002 to much critical acclaim, and followed up by the albums 'Blueprint', 'Outer Bongolia' and 'Bongos For Beatniks'. The albums have become record box essentials for DJs, finding a wide appeal from Dance and Hip-Hop to Rare Groove and Funk 45s fans. Nasser has also assembled a high calibre five piece live band with which The Bongolian have toured USA, UK and Europe. "You're in for an absolute treat"
"Beautiful new breaks from The Bongolian"